In 2003 the United Nations General Assembly designated December 11th “International Mountain Day”. The aim: to create awareness about the importance of mountains in everyday life and to highlight opportunities and constraints in mountain development. This year, to celebrate International Mountain Day we want to share the work of SRUC surrounding Hill and Mountain research. Other research project includes ‘Return to the Hills’. 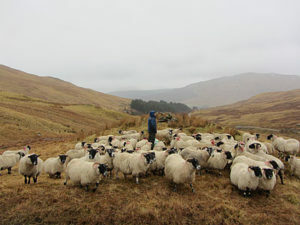 Kirkton and Auchtertyre Farms are leading the ‘Return to the Hills’ by doing research to support, develop and demonstrate more productive, efficient and profitable hill farming. Click here to read more.